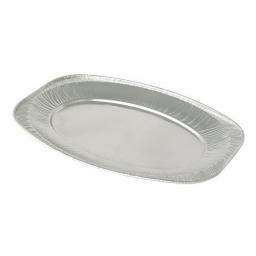 Aluminium foil platters offer sophisticated food presentation at minimal cost. Oval Plain design for single use. Disposable Economical food display foil trays.